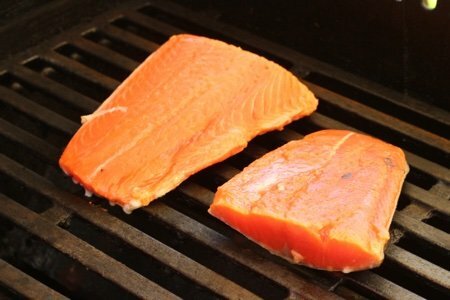 Can you cook frozen salmon on the grill? The procrastinators and the people with a hard time remembering to take fish out of the freezers need to know. I have spent a lot of time on the subject of frozen salmon since I am so forgetful. 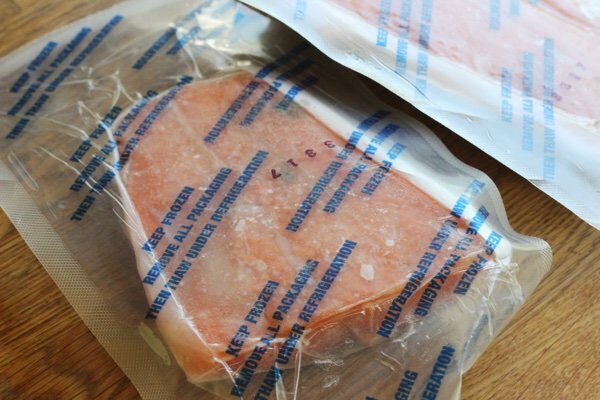 How to Cook Salmon from Frozen and How to Cook Salmon from Frozen Without Thawing in the Oven are both excellent posts for those who don’t have time to wait for their salmon to thaw. Now, it is time to see if a grill will destroy frozen salmon or will it be perfect? It wasn’t hard to find out! 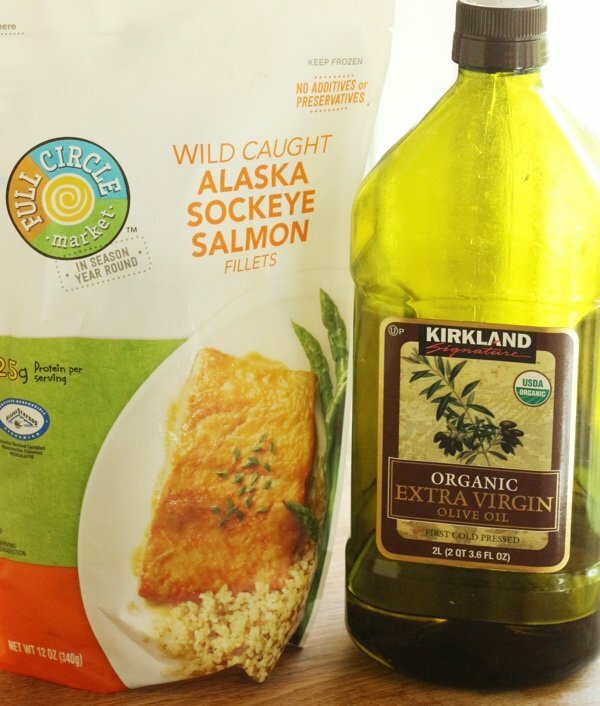 Frozen salmon is so easy to work with and it is in every freezer section (even Aldi!). When you look at the nutrition of salmon you can see why registered dietiticians advise eating it. 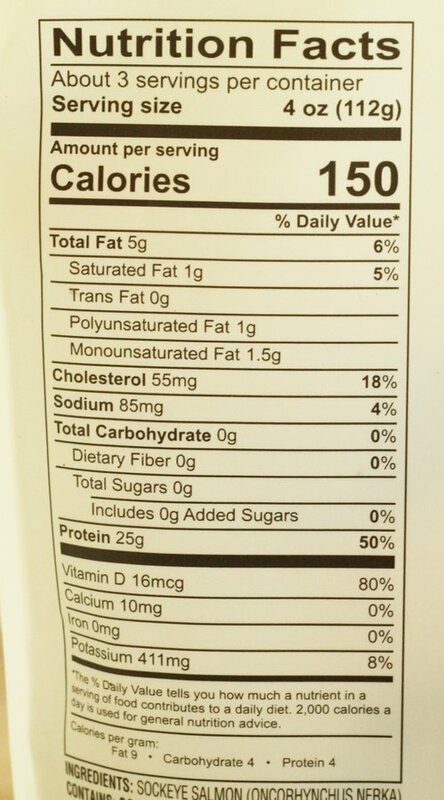 Look at all that protein with almost zero fat! The fat you will get from fish is the good fat AKA Omega-3-Fatty acids. I love the frozen packages that are in a single serving size. The packaging makes it easy to pull out just what I need and not waist any fish. We all know salmon is expensive so we don’t want to make too much of it. When it is frozen it is a bit tricky to get out of the package. Run it under some cool water and then use a set of scissors to free it. I took the frozen fillets and brushed some extra virgin olive oil on the outside in an attempt to keep the fish from sticking to the grill grate. 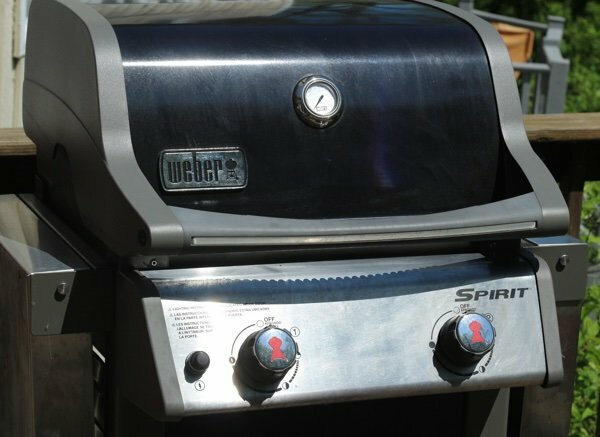 My grill is a Weber Spirit (see Amazon link at the bottom of the page). 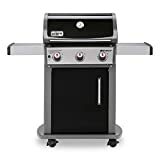 It has two sets of burners so it allows the kind of cooking that makes it possible to grill frozen salmon. You want to go with indirect heat. I am afraid of what would happen if you blasted the salmon with a flame. I heated my grill, turned off one set of burners, and placed the fish on the side without the flame. This way the fish could cook both inside and out without the outside becoming a charred mess. It did work (and it was delicious) but I still think it would be better to remember to thaw it. The skin did not get crispy as it sort of steamed instead of seared (and that made me sad). 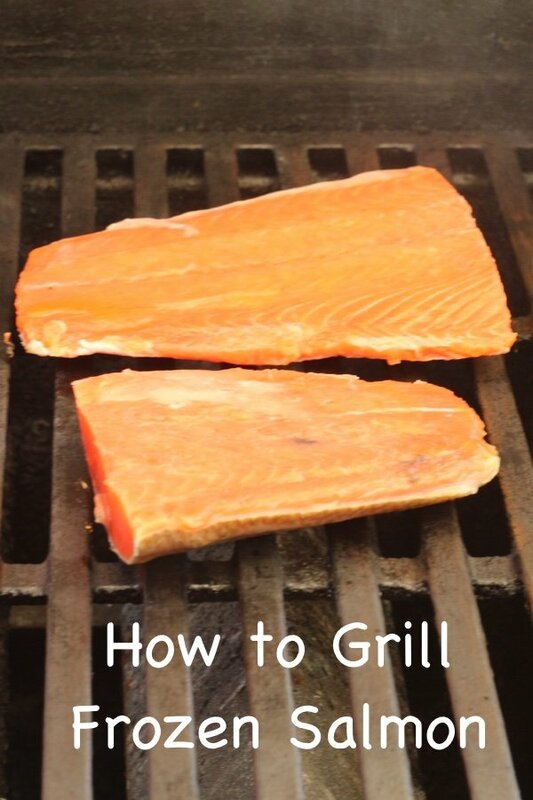 Have you tried to cook frozen salmon on the grill? What happened? Heat propane grill to high for 10 minutes. 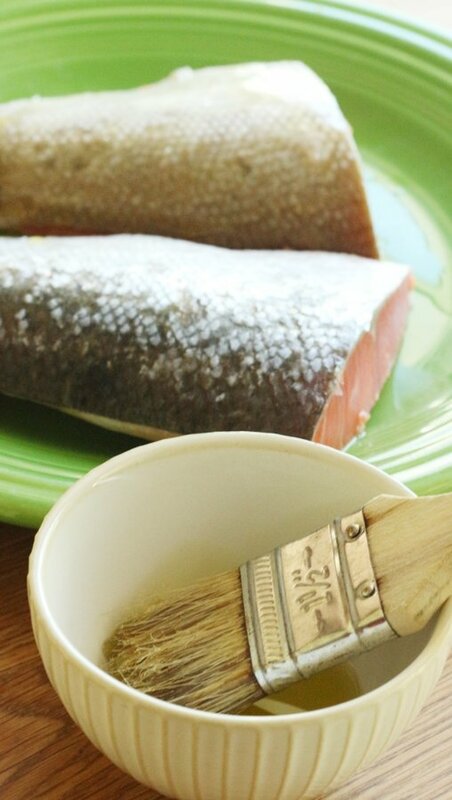 Brush salmon fillets with olive oil. Turn off one set of burners and place the salmon skin side down on the off side. Cover grill and cook for 6 minutes. Flip the fish and grill for 6 minutes more until the fish is opaque. Serve with lemon. I happen to love salmon but I forget to take it out of the freezer for dinner. Does that happen to you? I am going to help you out because I have learned how to cook salmon from frozen. "not waist any fish" ... a Freudian slip? LOL! As long as the fish is packaged airtight, it can be put in a bowl of cool water and allowed to defrost. It takes about 15 minutes to half an hour depending on the thickness. If you are cooking it on the grill, get a grill pan made for this purpose and make sure it is non stick or spray it with cooking oil. There is no need to try and cook frozen fish. By the time your coals are ready, your fish will be thawed. If you are using propane, just have a little patience.